Here's just a quick model I made over the weekend. 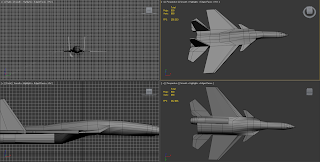 I started with a simple cylinder. 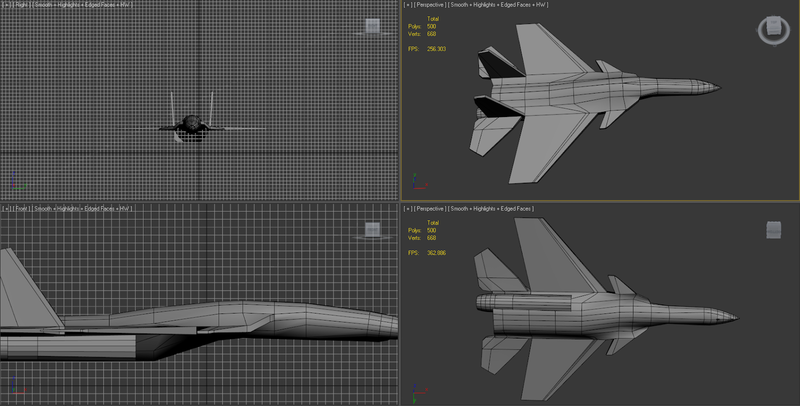 I created loops near the wing areas, this is actually half a model with symmetry enabled. 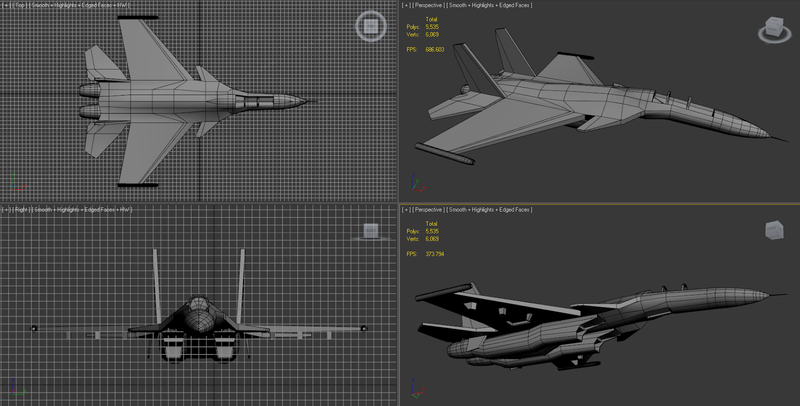 Top and bottom of the jet, you can see I was starting work in the intakes. 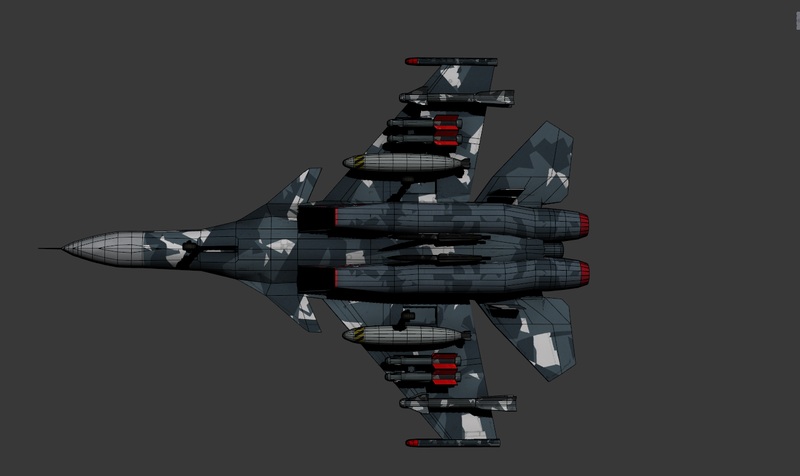 Here is the jet with added wingtips and cockpit. There are also the missile units visible under the wings. 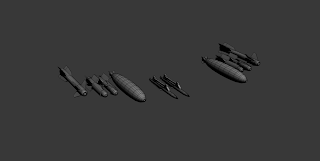 Here's the landing gear for the jet. 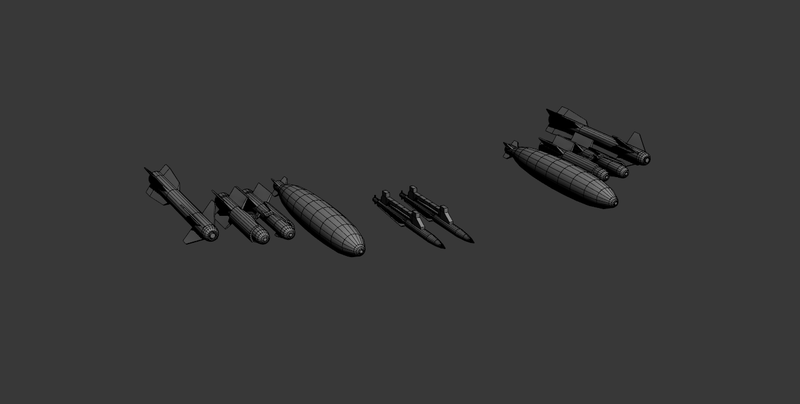 The bombs for the jet. 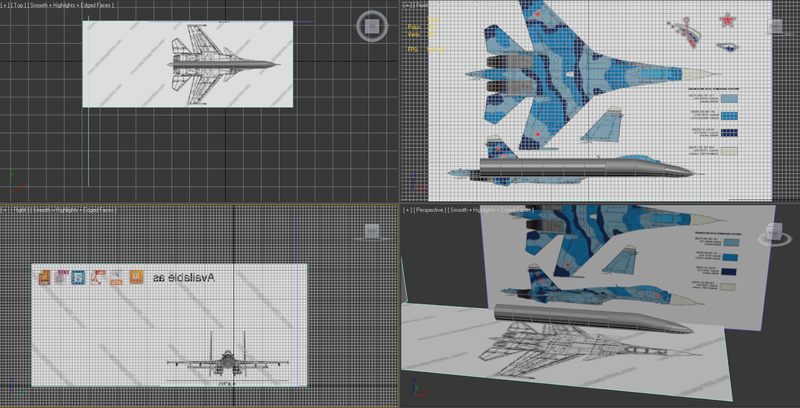 Here's the jet with the finished textures. 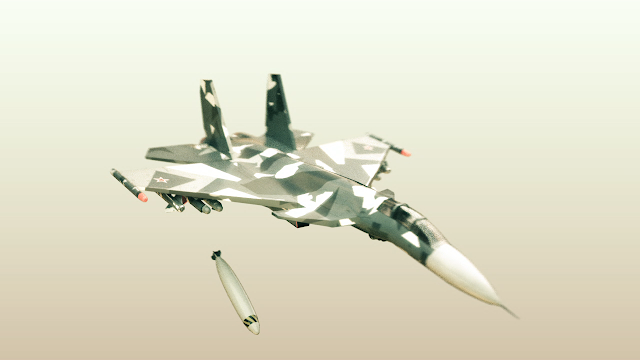 In Photoshop I created an alpha brush similar to the camouflage on the wings. 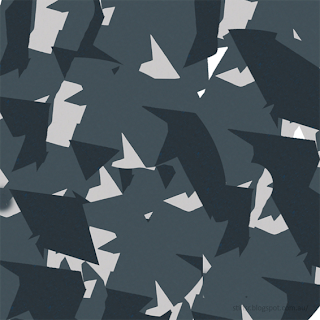 Here's a copy of the camouflage. 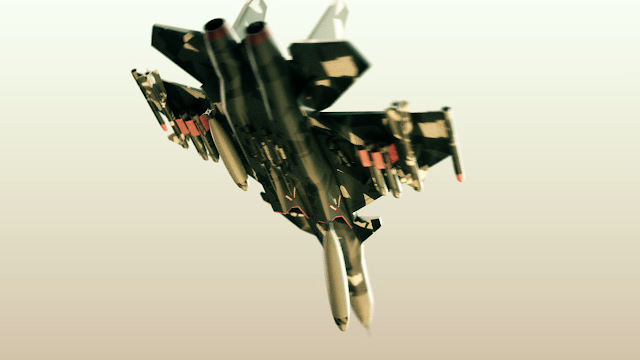 Feel free to use it, although I've watermarked the bottom right. You could just use a stamp tool to remove that, though. 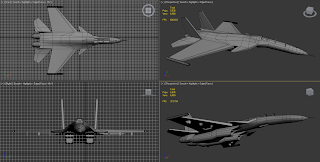 It's also half size, but will easily server any of your texturing purposes. 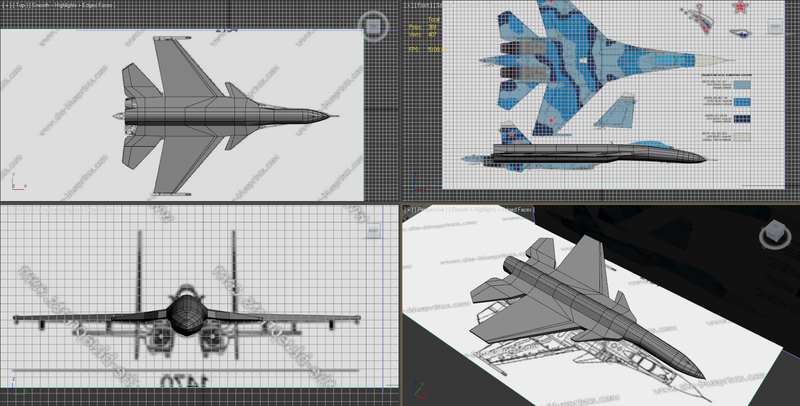 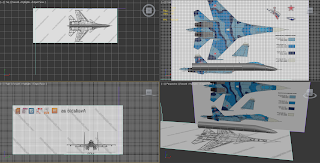 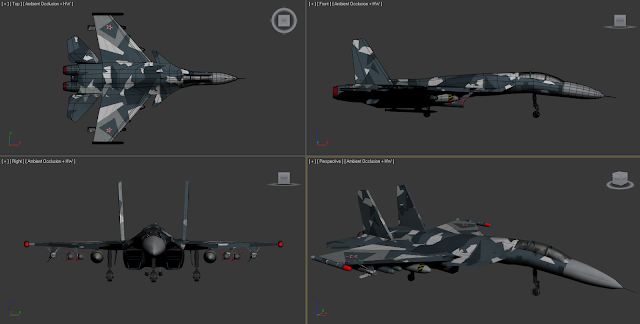 Final renders of the Su-33.